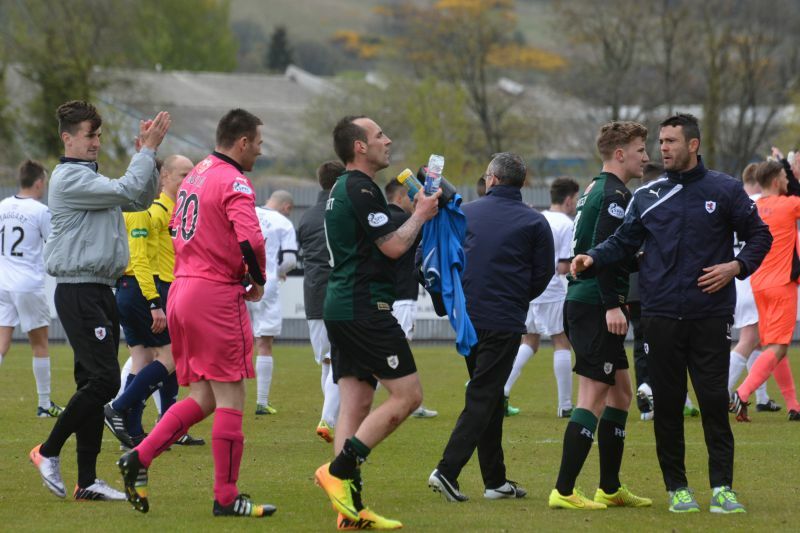 Raith Rovers ended the season with an entertaining 2-2 draw with Dumbarton, in a match which saw Laurie Ellis take charge of first team affairs in a caretaker capacity, assisted by Maurice Malpas. 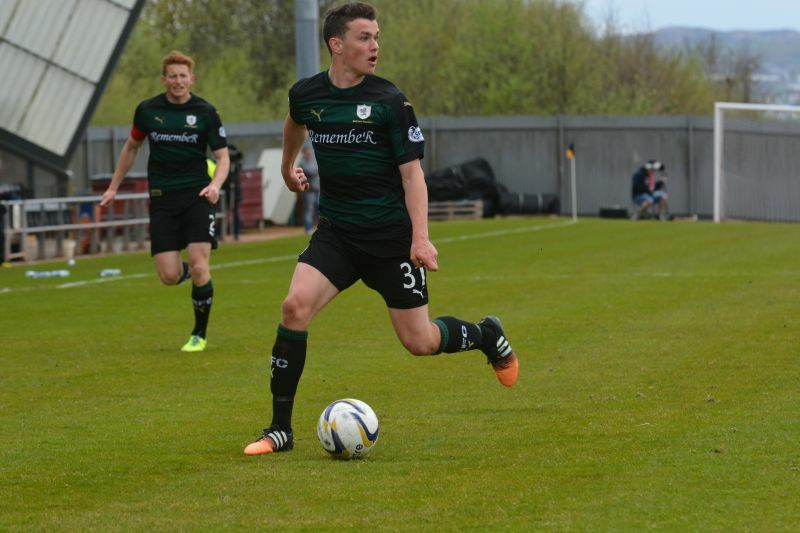 Ellis made four changes from the side which went down 4-0 to Livingston last Saturday. Calum Elliot missed out after succumbing to injury in the early stages of that match, whilst Kevin Cuthbert, Barrie McKay and Liam Fox all made way. 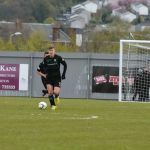 This meant a return for Lewis Vaughan up front, Grant Anderson started wide on the right, while David McGurn, fresh from penning a new two-year deal, began the match in goal. 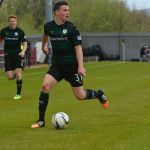 There was also a first ever professional start for 19-year old Ross Matthews, who was posted in the centre of midfield alongside Ross Callachan. 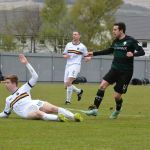 As ever with The Dumbarton Stadium, a strong, bone-chilling breeze was blasting the park, and from the early stages, it appeared to be making life tricky for the players. With Raith up against it in the first-half, McGurn was, perhaps wisely, electing to throw the ball to a full-back, rather than kicking up-field. The early part of the game was reasonably incident free, and certainly the action on show was less dramatic than the low, forbidding clouds that were gathering over Dumbarton Rock, which towers over the venue. 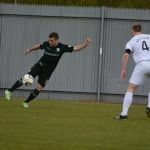 Dumbarton were the first to threaten, when Andy Graham flicked on a long throw inside the area, but Jason Thomson was alert to the danger and cleared it away. 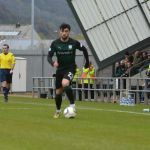 The same tactic was defended less well a few moments later however, and Raith were relieved to see Jordan Kirkpatrick sclaff his effort with the goal gaping. Slowly but surely though, Raith began to grow into the game, with Thomson in particular looking to get forward from the right-back area to create things. One of his forays ended in a cross to Vaughan, but his hooked effort with his back to goal, dribbled harmlessly past. Mark Stewart then tested Danny Rogers, although he really should have done more than that, when presented with the ball to feet at the edge of the area. As the crowd roared for offside, Stewart almost seemed to believe he was, as he delayed his shot slightly, before finding Rogers arms with a tame effort. 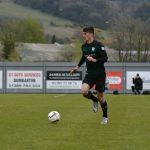 Debutant, Matthews was impressing in the opening exchanges, and despite his young age, he showed a willingness to crunch into challenges, tearing into Chris Turner to win the ball in one particularly strong tackle, before emerging with it and playing it on. Indeed, Matthews intelligent use of the ball, as well as his link up play with Callachan and Vaughan was an encouraging sight to see. Despite Rovers looking sprightly, they fell behind in the 20th minute. A missed tackle in the middle of the park, allowed Garry Fleming to pick up possession. He was afforded too much time to find his range, and his shot from distance rebounded off an upright and straight to Jordan Kirkpatrick, who slotted home with ease. 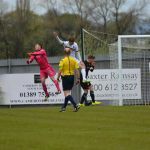 Raith may have felt slightly aggrieved to find themselves a goal down in what had been an even contest, but they almost restored parity a few moments later, when Callachan’s ferocious drive from the edge of the box was deflected over the bar. They then should have drawn level just before the interval, when Callachan and Vaughan combined to great effect down the left-hand side, before the forward played in Ryan Conroy, who only had the keeper to beat. 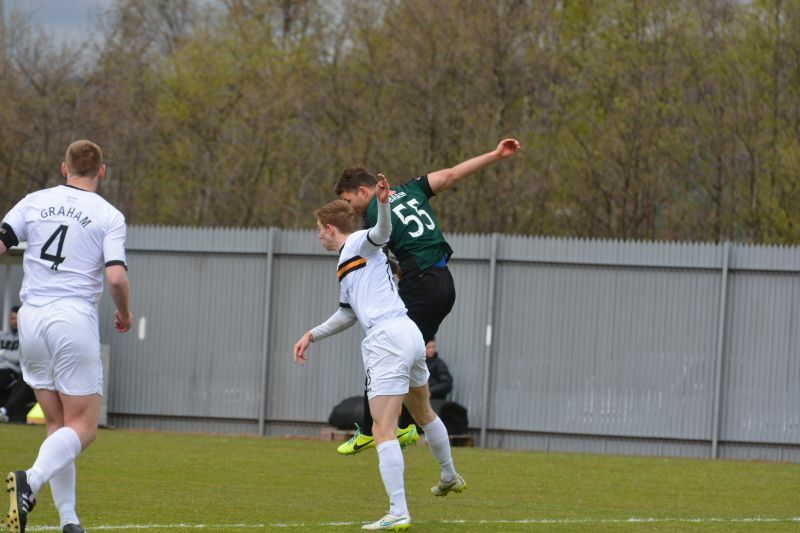 However, his finish was too close to Rogers, who deflected his tame effort back to Conroy, and his second finish was cleared off the line by a covering Dumbarton defender. 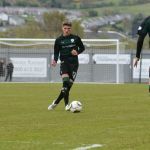 Perhaps smarting from his miss just before the interval, Conroy attempted an ambitious shot from 30-yards just after the half-time break, but it sizzled just over, as Rovers tried to make good use of their windswept advantage. Matthews teed up Vaughan who prodded it wide from the edge of the box, then Callachan burst into the box after receiving a deft pass from Vaughan, but his shot was charged down by the impressive Sons centre-half, Stuart Findlay. It was an excellent start to the half from Rovers, and they capitalised on the momentum they’d built up by equalising in the 52nd minute. Vaughan was the architect, winning the ball deep and spinning away from his marker, before slipping it through to Stewart who had held his line well. Darting into the box, he calmly slipped it past the advancing Rogers for his tenth goal of the campaign. At this stage, Raith looked by far the likelier to score next, and Vaughan tested Rogers handling ability with a shot from an angle, before Anderson’s dinked ball to the back stick saw Callachan’s effort blocked and cleared over the bar. The second goal wasn’t long in arriving however, and when it did, it introduced itself with spectacular style. Rogers, who’d struggled with his kicking for the whole of the half, sent a poor clearance bobbling down the centre of the field, straight to Vaughan who was 50-yards out. With the Rovers fans urging him to shoot, he duly obliged, crashing the ball from whence it came, lobbing it straight over Rogers and into the net. 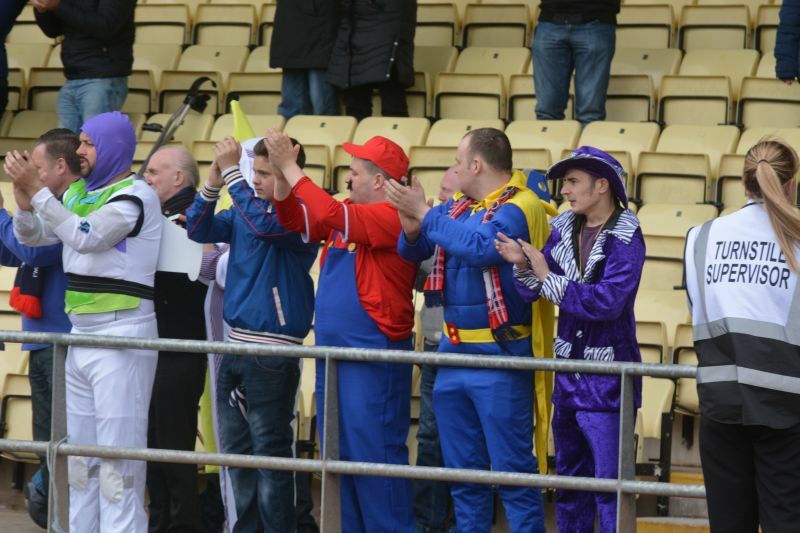 It was a sublime finish, and had the Raith support, which included Buzz Lightyear, Captain Hook, Super Mario and Bananaman, in raptures. At that point, a third goal would almost certainly have sealed matters, and it could have come a few minutes later, when McKeown’s cross found Paul Watson, but his header lacked purchase, and was easily gathered by Rogers. An even easier header was passed up in the 74th minute, when Anderson played it outside to Stewart, who burst into the box towards the goal-line, but after picking out the correct pass to Vaughan, the striker somehow contrived to miss the target with his header, from approximately 45-yards closer than his earlier goal. As ever in a scenario such as this, you began to wonder if Raith would regret those squandered chances, and they did indeed, when Dumbarton drew level in the 78th minute. 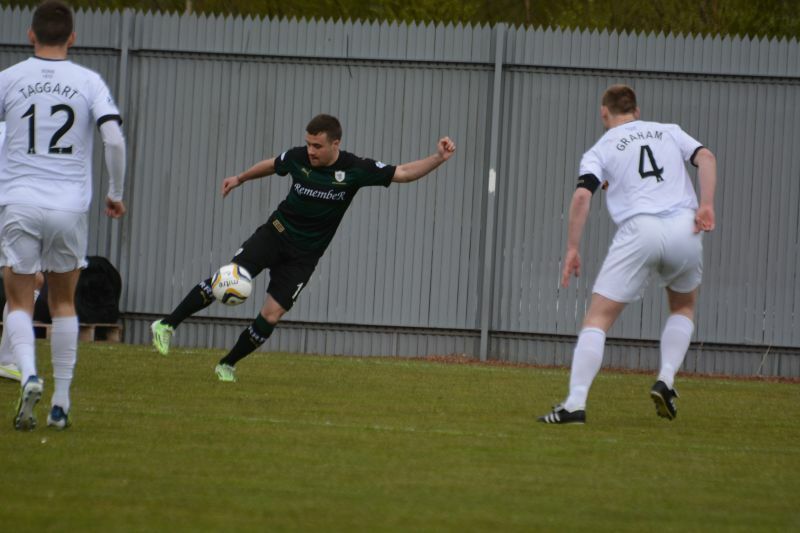 A cross into the area was met by McKeown, but his headed clearance lacked distance, and was seized upon at the edge of the box by that man Scott Agnew, who, not for the first time this season, dispatched the ball past McGurn and into the corner of the net. Despite the match having little importance in terms of league positions, the closing stages were a ding-dong, end-to-end scuffle, with both teams eager to end the campaign on a high. Ross Callachan nearly managed to do just that from a Raith Rovers point of view, but his shot from distance was deflected wide with Rogers struggling to get across. It was the final piece of action in another entertaining game between two teams who appear to bring out the best in each other, at least when it comes to scoring goals. Both sides will now look to rebuild over the Summer, as they aim higher than their mid-table finishes this term. Welcome to the Bet Butler Stadium, it's 8 degrees and partially cloudy. The final game of the season sees David McGurn in goal and Ross Matthews gets a start. Put the 25th of July in your calendar, this being the start of season 15/16 which starts with the first round of the Petrofac Training Cup. Dumbarton kick off to our left. 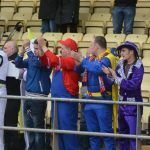 Dumbarton playing with the wind at their backs. The teams are taking a while to settle. The first threat on goal coming courtesy of a McKeowan cross which is intercepted by Rogers. Craig Barr this time with the cross, again intercepted by Rogers. Mark Stewart beats the offside trap and shoots from 8 yards, Rogers is up to the task. Anderson going on a run down the right is bundled off the ball by Linton. Fleming testing McGurn from 12 yards the ball going straight to the keeper. There be pirates in the crowd, Fifes Finest annual fancy dress finale. The game is bogged down in the centre of the pitch. Taggart hits the far post from 12 yards, the rebound fell to Kirkpatrick who sidefooted home from six yards. Goal Dumbarton. Callachan has the ball in the net but is called back for offside. Quarter of the game in and the only high spot has been the goal. Ross Matthews is showing some nice touches. 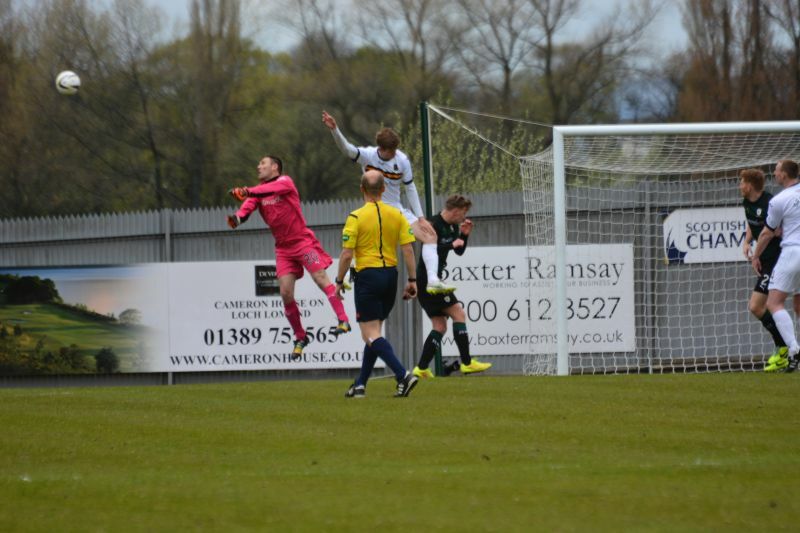 McGurn punches clear to deny a header from Findlay. Lewis beats three to win a corner. Stewart and Vaughan getting impatient, getting called offside. Good work between Vaughan and Conroy almost releasing Stewart, Turner blocked the final ball. Rovers forward passes getting hampered with the wind. Rovers survive a stramash in the box with neither side being able to predict the flight of the ball due to the wind. Conroy with two bites of the cherry fails to get the ball past Rogers. Raith have the ball in the net again and again it's offside. Lewis braking down the left finds himself offside again. Conroy lifts the mood with a shot from 30 which went narrowly over the bar. Callachan pulled the trigger but his fine shot is blocked by Graham. A wonderful twist and turn by Vaughan released Stewart who slotted past the advancing Rogers. GOAL ROVERS. Raith have their dander up. Barr yellow for a trip from behind. Findlay heads wide from the free kick. Lewis Vaughan from 48 yards, spots the keeper off his line and hits a beauty right in the back of the net. GOAL ROVERS. Watson from close in sees his header saved by Rogers. Rovers supporters urging the players to shoot on sight. Rovers making the most of the wind advantage. Lovely spell of passing by the Rovers. Anderson and Stewart combined and fed Vaughan whose header went past the back post. Anderson off, McKay on. Kirkpatrick off, McCallum on. Ian Murray received a lecture from Mr Northcroft. Equaliser from Dumbarton, Agnew from 12 yards shoots past the back post. Goal Dumbarton. Dumbarton looking the livelier side. Conroy brings out the best in Rogers with a clise range shot. Vaughan 's free kick going just past the back post. Scott yellow for a trip from behind. +1 Callachan's shot forces a spill from Rogers. +2 Stewart off, Robertson on. Rogers, Linton, Graham, Turner, Gilhaney, Agnew, Kirkpatrick, Taggart, Fleming, Findlay, Campbell. Subs, Megginson, McCallum, Petrie, Wilson, Whitefield, Clark, Ewings. McGurn, Thomson, Watson, Anderson, Stewart, Callachan, Conroy, Vaughan, McKeowan, Matthews, Barr. Subs, Cuthbert, Hill, Scott, McKay, Nade, Robertson, Ford. 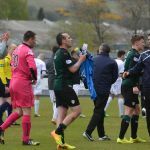 Laurie Ellis will take charge of the Raith Rovers squad this Saturday, as they look to the end their Championship season in the same way they started it, with victory over Dumbarton. 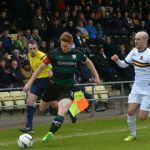 Fixtures between these two sides tend to be high-scoring encounters, with 47 goals scored in the 11 matches played, since Dumbarton returned to the second tier of Scottish football back in 2012. That appears to be especially so when Dumbarton are the home side, with three of the last five matches to take place at The Dumbarton Stadium featuring six goals, with each side racking up a 4-2 win, while last season saw both sides play out an enthralling 3-3 draw. Both teams however are on identical poor runs of form, with one win and five defeats from their last six matches. 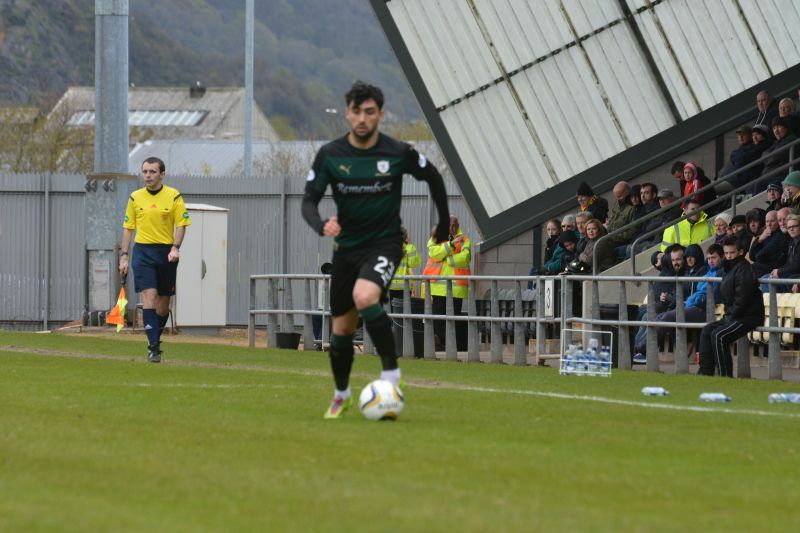 Raith’s last win was at the end of March, when goals from Mark Stewart and Lewis Vaughan sealed a 2-1 win over Hibernian, while Dumbarton’s was on the same day, after they won 1-0 at home to Falkirk. Victory for Raith Rovers on Saturday would make it their third league win over Dumbarton this season, which would be the first time they’d achieved such a statistic since the 2005/06 campaign. That term would see Raith Rovers finish seventh in the Second Division, while Dumbarton finished bottom, relegated to the fourth tier after four seasons in the third. On the other hand, if Dumbarton can eke out a win on Saturday, it’ll be the first occasion they’ve beaten Raith twice in the league since the 1983-84 First Division campaign. Dumbarton would end the up promoted to the Premier League behind Morton, while Raith Rovers finished bottom, relegated to the Second Division along with Alloa Athletic. The two sides first meeting this season saw Raith get off to the perfect start on the opening day, with a 3-1 win. Paul Watson opened the scoring in the second-period, while Christian Nadé and a Ryan Conroy free-kick, confirmed the win. 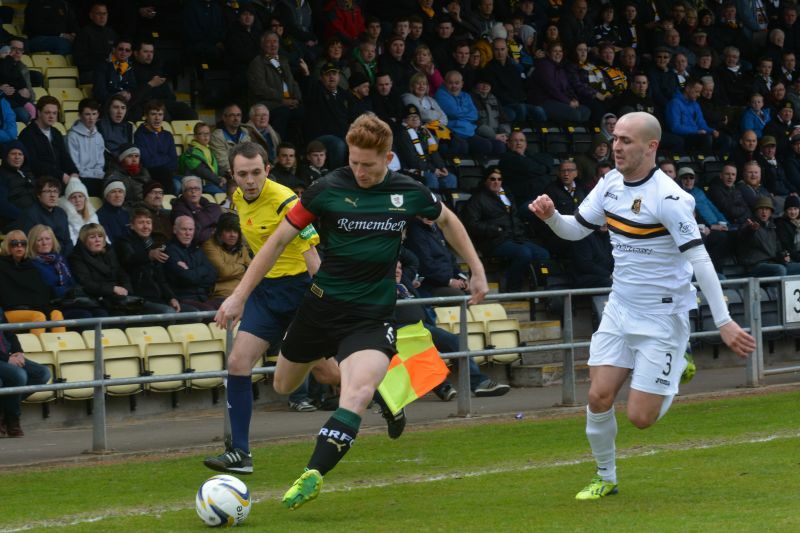 Scott Agnew grabbed Dumbarton’s consolation in the final minute. That man Agnew was at it again in December, when two goals were enough to see of a Rovers side who had drawn level through Mark Stewart in the second-half. 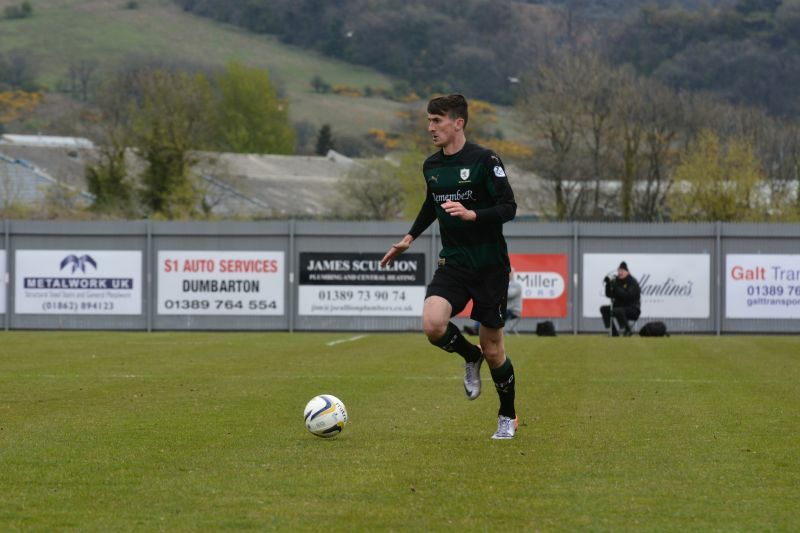 However, The Dumbarton midfielder sealed all three points for the Sons with a late penalty. 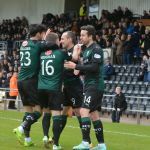 Their last meeting was in January, and saw Raith take all three points with a 2-1 win. Rovers cantered into a two goal lead, through a Ryan Conroy penalty and a strike from Grant Anderson. 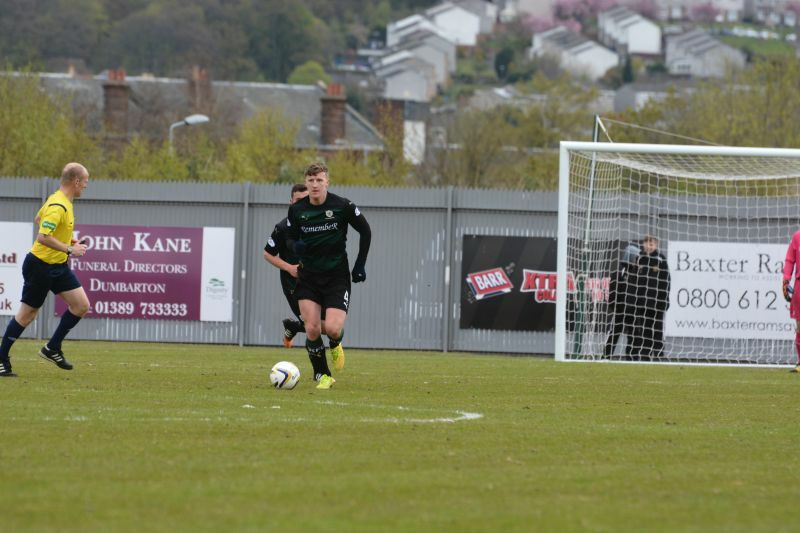 But, despite a dominant showing from Rovers, a late goal by Mitch Megginson ensured a nervy finish to the match. Raith have a good head-to-head record in this fixture recently, with six wins from the last ten league meetings, compared to Dumbarton’s three.